(Lanka e News -16.Jan.2019, 10.00AM) After the coup, Ranil Wickremesinghe has created a government, but it will collapse by the end of 2019, and the full time of the government will not be able to come to an end. The Podu Jana Peramuna will be won in a parliamentary largest number of seat after a quick election. 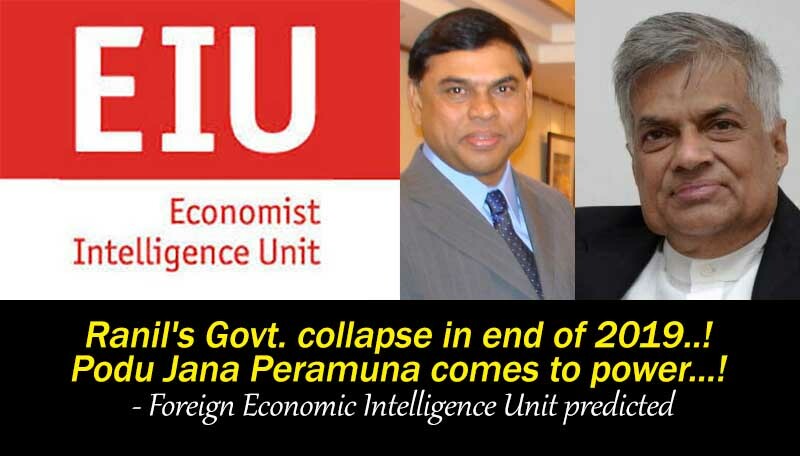 Economist Intelligence Unit issued their report on January 7 forecast for the next five years in Sri Lanka . However, the Economist Intelligence Unit may be experts in economic matters, but they are not experts about the Sri Lankan politics. Because end of the year 2019 they say a parliamentary election is really due to a presidential election.